If you ask me which critters are better looking: the South American tarantulas or the Falling Sky's critters, I would definitely choose tarantula. The word “spider” comes from the Old English word “spinnan” which means “to spin.” Not sure if they spend their spare time spinning though. Spiders are not insects. They are arachnids. Insects have three body sections and six legs; spiders have two body sections and eight legs. Despite the fact that most spiders have 6 to 8 pairs of eyes, their eyesight is very poor. They use the fine hairs on their bodies to sense movement and signal when they should run or attack. Most spiders live for less than six months, but the female tarantula can live up to 25 years! Each year, spiders eat so many insects that the combined weight of their pray exceeds the weight of the entire global population of humans. Despite its scary appearance, the tarantula is no more poisonous than a bee sting. The spider’s web is made out of protein. When it’s time to spin a new web, the spider will eat the old web. The golden spider spins silk that is as strong as a steel wire of the same size. The black widow’s venom is 15 times more powerful than the venom of the diamondback rattlesnake. However, because only a tiny amount is injected when she bites, very few people die from the black widow spider’s bite. Oh, and if you live in the UK, you are lucky. The UK tops the list of countries whose populations most fears spiders! 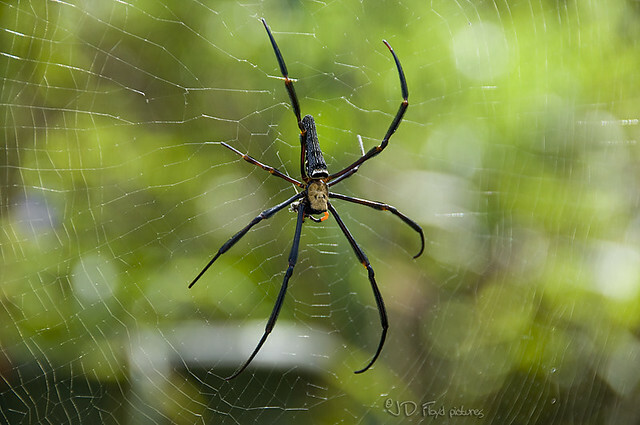 Half of all women and one in five men have an aversion to spiders. i got here to return the prefer?.I am trying to in finding issues to improve my website! They are one of my favourites. Wonderful post! I've never minded spiders, they and their webs are fascinating subjects to photograph!